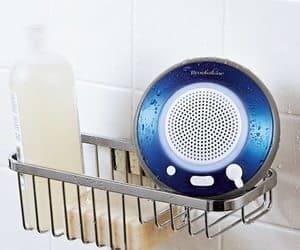 Enjoy your music whether your in the shower, pool or hot tub with this waterproof, bluetooth speaker! It's funky design allows you to display it on the side or floating in the water. Simply connect via Bluetooth with your smartphone, tablet or MP3 player and play your tunes up to 33 feet away!